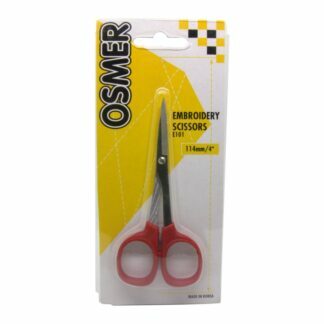 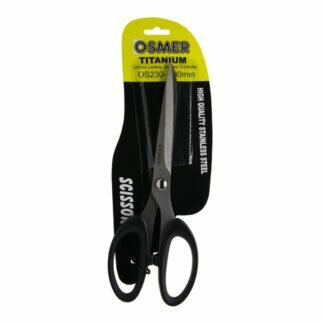 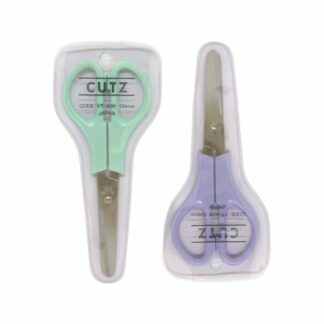 Osmer 216mm premium grade titanium coated scissors with offset handle. 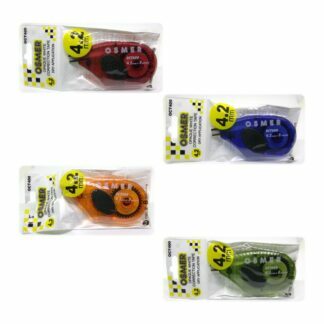 Choose from 1 pair, 2 pairs or 3 pairs. 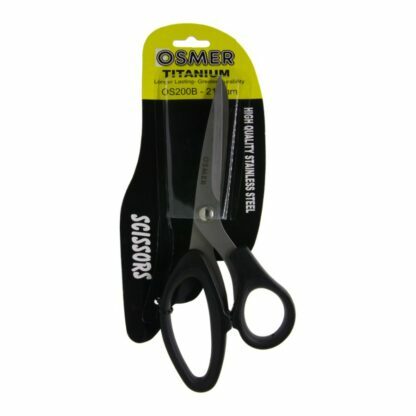 High quality, titanium coated, stainless steel blades (measuring 2.75mm thick each). 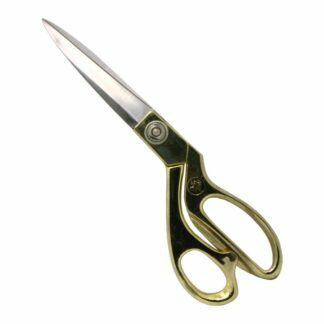 Long tang that extends well into the grip.